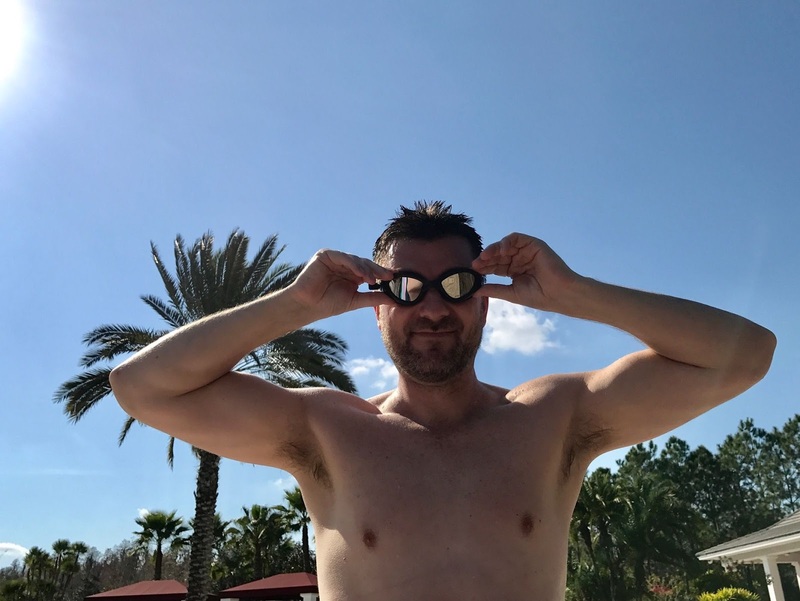 This post was sponsored by Speedo. 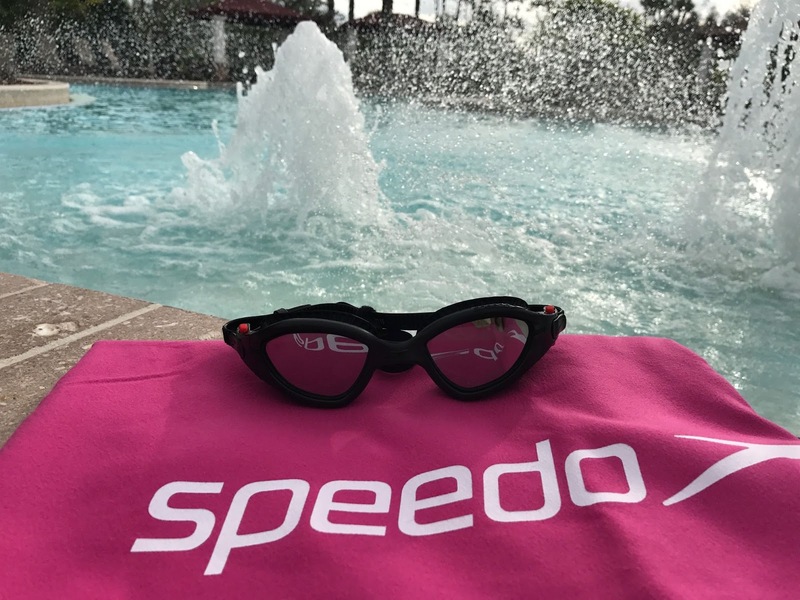 I received Speedo product as compensation. Both my husband and I grew up on the beach. He lived directly across from the beach while I was a short 3 miles away. We spent the majority of our childhood with sand in our toes, salt in our hair and not a care in the world. Now that we are adults, I yearn for those weekends. Although we live in Tampa, we are an hour from the beach which is a big change from crossing a road. While planning a vacation or a trip back home, we always pack workout clothing. If we are vacationing somewhere with a pool or a beach, we try to plan to get a few laps in. For me, that means packing essentials that do not take up much room in the suitcase. 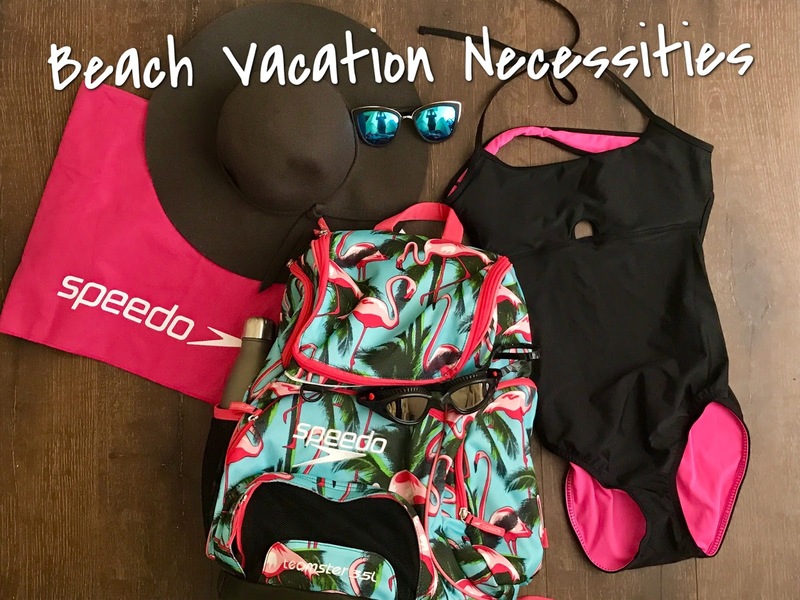 Today I am going to show you how to easily pack the necessities you need to stay fit and stylish for a beach or pool vacation. The first necessity of a beach vacation is a cute bathing suit. However, finding a cute bathing suit for swimming laps is very difficult. Have you ever tried swimming laps in the beach wearing a string bikini? Yeah, don't do it, waves are not your friend. Thankfully Speedo USA has a ton of suits, both one piece and two piece that can go from fitness to beach style. I was particularly fond of the Speedo Keyhole One Piece with PowerFLEX eco. With its contemporary cut and key hole cutout, it can quickly go from swimming laps to laying out in the Caribbean. One thing I love about this suit is that it has removable padding. Most one pieces do not have padding. 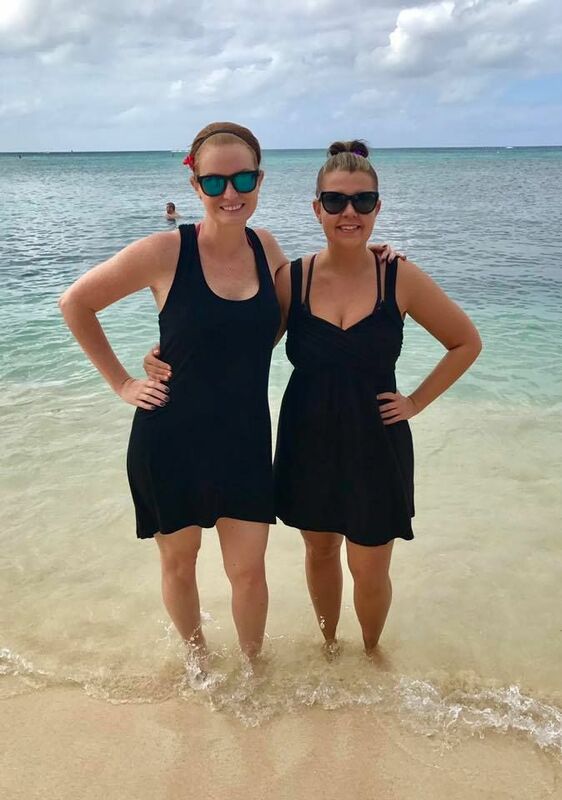 Aside from the right style bathing suit, you need a cute beach cover up that can act as a sundress, easily going from the beach to your next destination (shopping, beach bar, lunch, spa). I always have a headband handy for such an event. Also, be sure not to forget a cute hat, cute sunglasses, your favorite book and of course sunscreen! I keep all of these items in my beach bag and leave them in there, so I never forget to bring the necessities with me. Speaking of beach bags! The best kind is one you can use for multiple purposes. The Speedo Teamster Backpack is just that for me. I took my Teamster Backpack with me on a recent cruise. I used it at the beach, at the pool and it doubled as my computer bag! With its multiple zipper pockets and a removable dirt bag, you can easily stash your wet suit without making the rest of your stuff damp and keep your valuables safe. 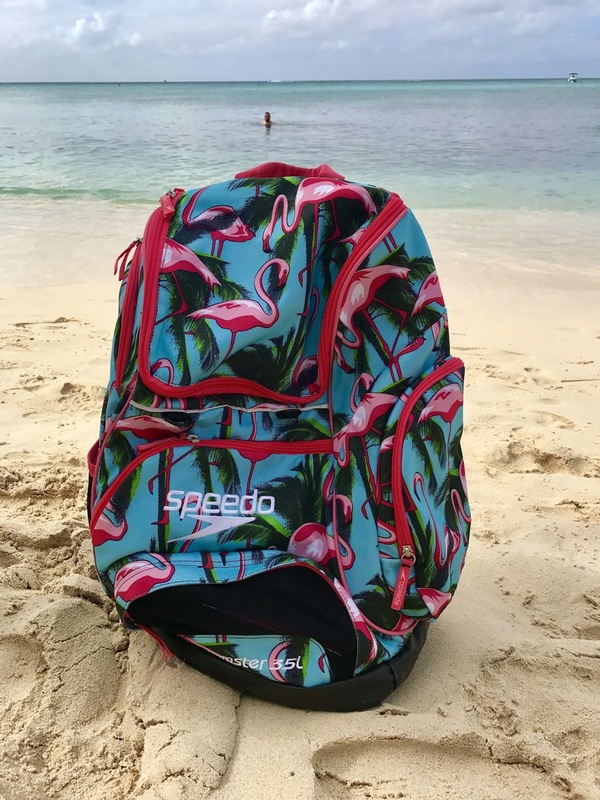 Not only is it functional with a side water bottle holder and multi media pouch, it's also a super cute bag with pink flamingos. Last but not least, let's talk about my biggest pet peeve after getting out of the pool or beach - being wet. I hate wet clothes, wet bathing suits and the feeling of not being dry. Sure the sun will dry you off but I am all about anything to expedite this process and Speedo has such a product. The Out To Dry Microfiber Towel was the answer to my wet bathing suit nightmare. It's super absorbent and will quickly dry you, your clothing and your hair! This towel is very thin and compact so it does not take up too much room. Now off to dream of my next cruise or beach trip. Cheers!